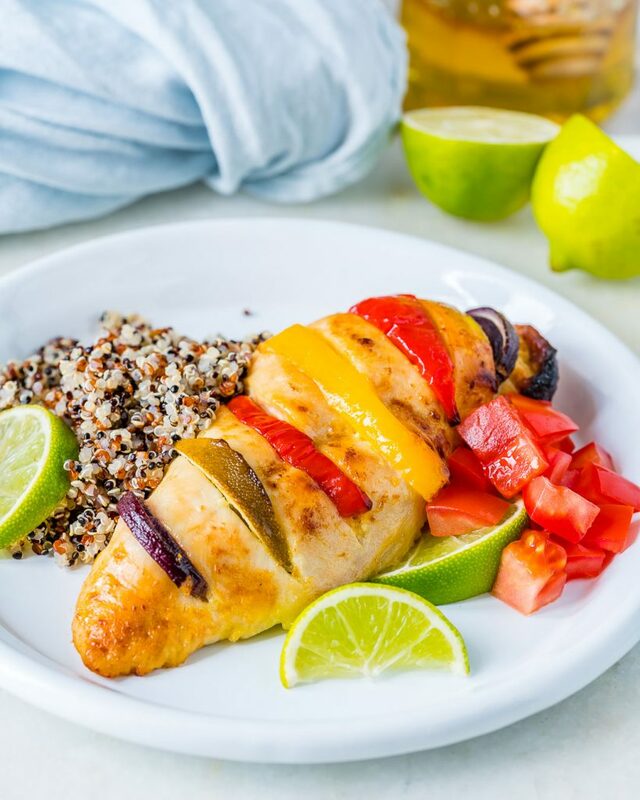 Baked Honey + Lime Hasselback Chicken is a Clean Eating Win! Preheat the oven to 370 f.
Make horizontal cuts across each chicken breast as shown, then place it in a ziploc bag together with the marinade ingredients. 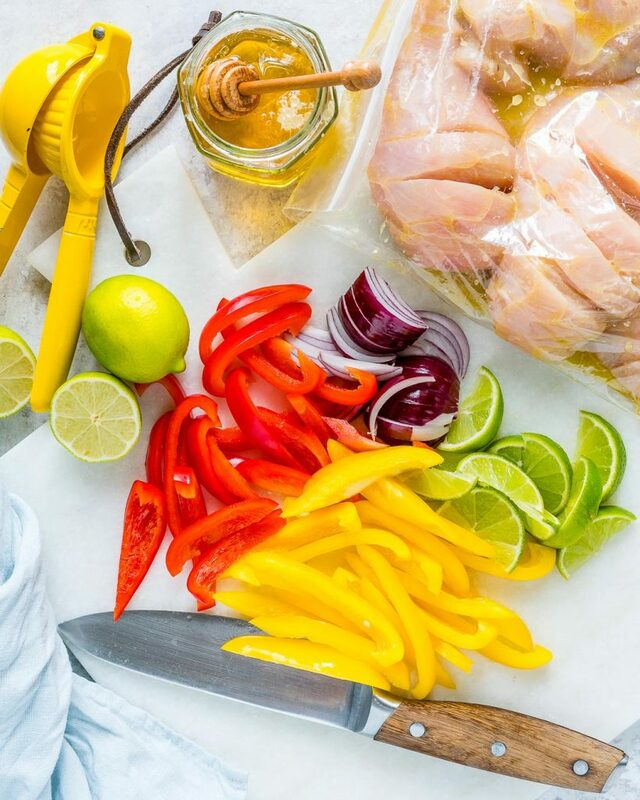 Mix well to combine, then leave it marinade in the fridge for at least 30 minutes (it’s best overnight). 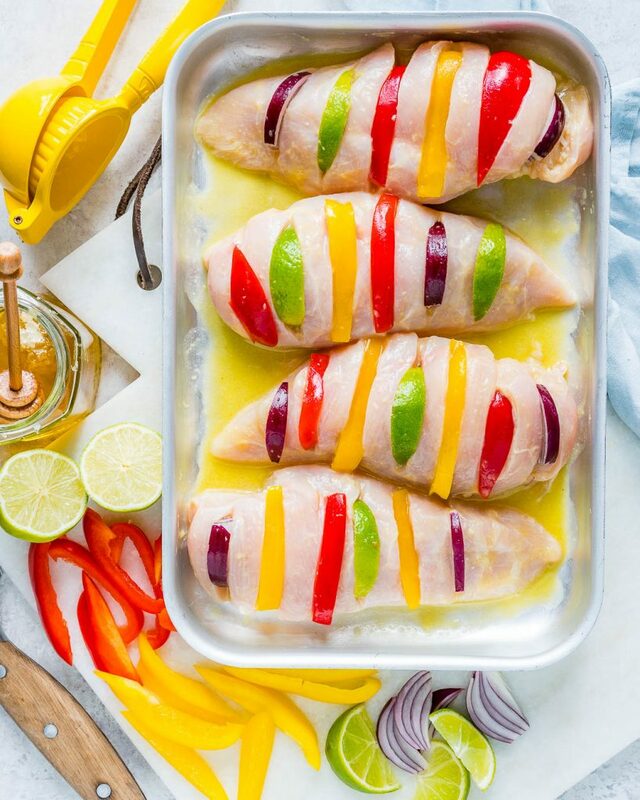 Remove the chicken from the bag and add bell peppers, red onions and lime wedges to each cut, then place each breast on a baking tray. Cook in the preheated oven for about 25 min, or until cook through and no longer pink in the middle. 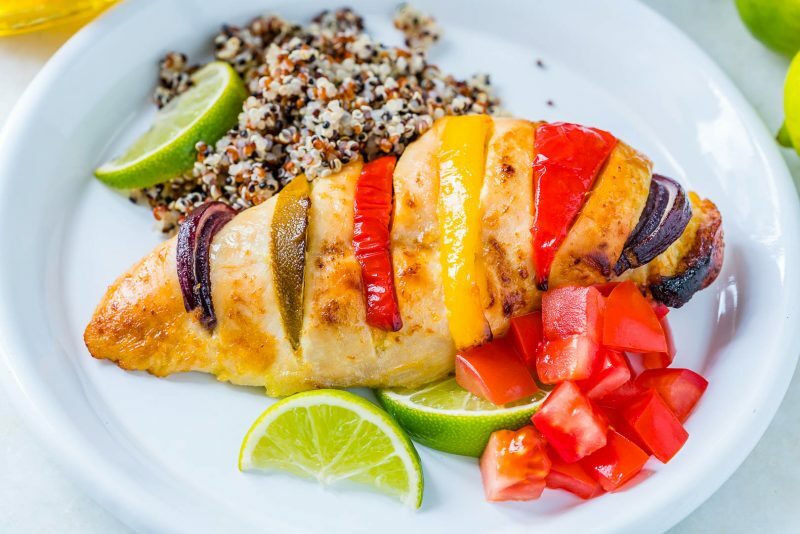 Serve with cooked quinoa and chopped tomatoes. 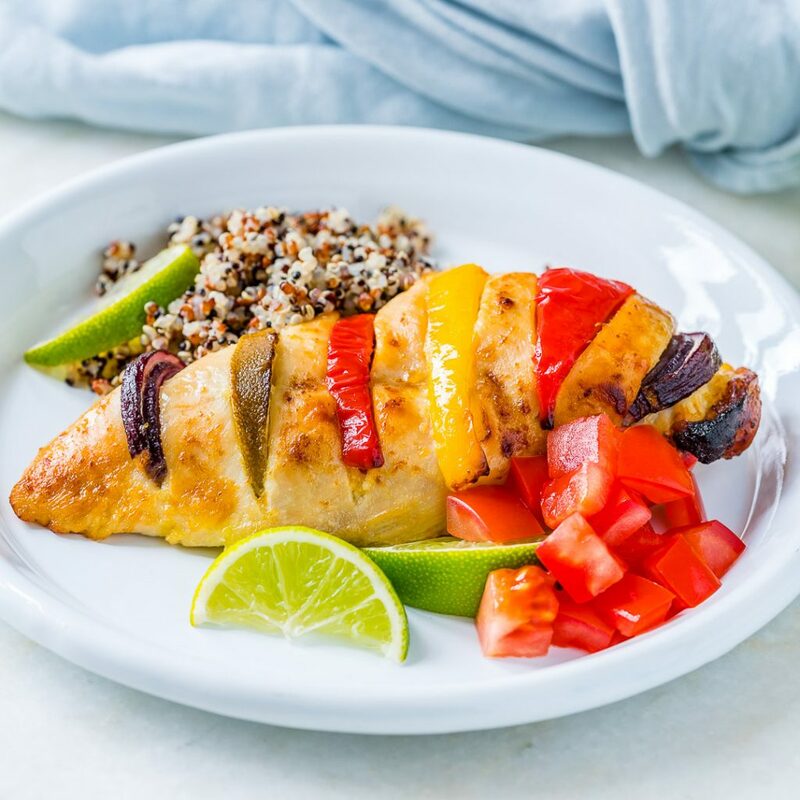 Mix well to combine, then leave it marinade in the fridge for at least 30 minutes (it's best overnight).